David Bowie, the 1975, Skepta and Rihanna each scored multiple nominations to lead this year’s Brit Awards nominees. David Bowie, the 1975 and Rihanna each scored multiple nominations for this year’s Brit Awards, which honors music released both in the United Kingdom and worldwide. Little Mix and Mercury Prize-winning grime artist Skepta lead the field with three nominations apiece. In the British Album of the Year category, Bowie’s Blackstar, the 1975’s I Like It When You Sleep for You Are Beautiful Yet So Unaware of It and Skepta’s Konnichiwa will face Michael Kiwanuka’s Love & Hate and Kano’s Made in the Manor. Coldplay’s “Hymn for the Weekend,” Zayn’s “Pillowtalk” and Calvin Harris featuring Rihanna’s “This Is What You Came For” were among the songs to earn nominations in both the Best British Single and British Artist Video of the Year categories. 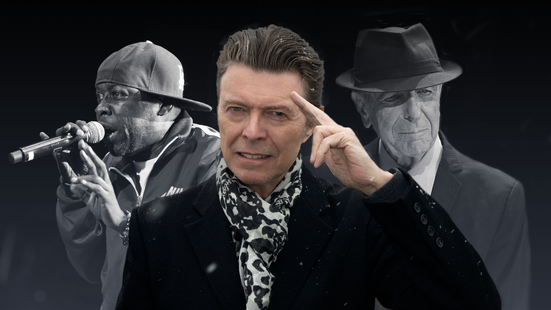 Bowie, who was honored at the 2016 Brit Awards with a tribute featuring Lorde’s rendition of “Life on Mars,” is also up for the British Male Solo Artist award against Skepta, Kiwanuka, Kano and Craig David. Radiohead earned a nomination for the British Group against the 1975, Bastille, Biffy Clyro and Little Mix. Anohni (Best Female Solo Artist), Adele (British Video of the Year for “Send My Love (to Your New Lover)” and One Direction (Video of the Year for “History”) also nabbed one nomination.